SUMMARY: In this episode, Brian and Chris speak with Eddie Mosley, the Pastor of Disciple-Making at LifePoint Church, about developing community in a church with a hybrid discipleship model that includes both traditional, on-campus Sunday School classes as well as off-campus small groups. Eddie speaks about how important it is for church administrators to train group leaders and communicate the expectations for both Bible study and community within groups. Eddie also shares about how the pastors and staff of his church seek opportunities to become involved in local sports organizations and other community events and how these efforts allow the church to facilitate culture for the purposes of ministry and evangelism. 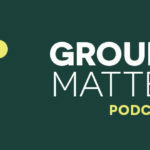 In addition, Brian, Chris, and Eddie discuss how the model for small groups has changed in recent years, and Eddie shares some advice for new small group ministers. GUEST: Eddie Mosley is the Pastor of Disciple-Making at LifePoint Church, serving the multi-site campus in Smyrna, Tennessee, since 2005. His enthusiasm for seeing life change happen in the lives of individuals in his church, neighborhood, and community is infectious. He is a sought-after speaker for small group ministry and neighborhood impact. He is the author of Connecting in Communities, Understanding the Dynamics of Small Groups. He has written numerous articles for SmallGroup.com and LifeWay Church Resources. He has also served as Regional Point Leader for the Saddleback’s The Small Group Network. He blogs often at eddiemosley.com, and you can follow him on Twitter at @eddiemosley. Mosley is a graduate of Middle Tennessee State University, where he received a Bachelor in Business Administration degree. He also holds a Master of Divinity degree from Southern Seminary. When not immersed in the small group world, Eddie spends his time coaching baseball. Mosley and his wife, Lisa, have two sons and reside in Middle Tennessee.